April has traditionally been a good month for stocks over the past two decades. While the broader S&P 500 has finished in the green in April in 12 out of the last 13 years, the Dow Jones Industrial Average ended in the green in all 13, according to LPL Financial. The markets are again poised for a strong month, thanks to successful talks between the U.S. and Chinese trade negotiators. In fact, upbeat factory numbers from the United States and China, Fed’s dovish stance and oil’s epic rally are expected to help major bourses scale north this month. IMF Managing Director Christine Lagarde, in the meantime, said that the Fed’s patient stance with respect to rate hikes and stimulus from China should help the global economy prevent a recession. With the markets set to go up, investors must be on the lookout for growth stocks. Here we suggest that you keep an eye on billionaire investor Warren Buffett’s investment choices. After all, he is known for investing in companies that have solid business models and can cash on a bullish market scenario. These companies have superb earnings potential and are not bothered by whether the market will recognize its true value. They also make abundant cash and provide dividends, which are indicators of strong and sustainable business. Needless to say, those dividend payers in particular have a large customer base, long track of profitability and strong liquidity. While finding companies that offer these traits isn’t easy, we have picked four of the Oracle of Omaha’s favored companies that are likely to make the most of April. Warren Buffett began acquiring stakes in Berkshire Hathaway Inc. BRK.B way back in 1962. His investment in Berkshire Hathaway has paid off as evident from the company’s whopping return of almost 800% since inception. Berkshire Hathaway has registered fourth-quarter earnings of $5.7 billion, up 71.4% year over year. Its Insurance, manufacturing, service and retailing, and finance and financial products segments are doing well at the moment. It is also growing inorganically by acquiring stakes in several top-notch companies including Apple Inc. AAPL. Berkshire Hathaway currently has a Zacks Rank #2 (Buy). In the past 60 days, Berkshire Hathaway has seen one earnings estimate move up, while none moved down for the current year. The Zacks Consensus Estimate for earnings rose 4.1% in the same period. You can see the complete list of today’s Zacks #1 Rank (Strong Buy) stocks here. The company’s expected earnings growth rate for the current quarter is a solid 11.7%. The company has outperformed the Insurance – Property and Casualty industry in the past year (+1.9% vs +1.1%). Berkshire Hathaway owns STORE Capital Corporation STOR since it is a pioneer in the acquisition, investment and management of Single Tenant Operational Real Estate. Being a leader in its field, the company enjoys economic moat or in other words it has a competitive advantage over its peers. And that’s the reason why STORE Capital registered revenues of almost $147 million in fourth-quarter 2018, higher than $120 million in fourth-quarter 2017. STORE Capital presently has a Zacks Rank #2. Over the past 30 days, STORE Capital has seen two earnings estimates move up, while one moved down for the current year. The Zacks Consensus Estimate for earnings increased 0.5% in the same period. The company’s expected earnings growth rate for the current and next quarters are a steady 4.6% and 4.4%, respectively. The company has outperformed the REIT and Equity Trust – Retail industry in the past year (+30.7% vs +11.6%). Warren Buffett is particularly fond of General Motors Company GM. During the fourth quarter, the company surpassed earnings and revenues expectations, driven mostly by its North America segment. And this year, the company announced that buyers have started showing interest in its more expensive sports utility vehicles and pickup trucks. And we all know that trucks and SUVs generally tend to be more profitable than cars. General Motors’ present capital allocation policy, improving technologies and increasing investments in plants, both in the United States and emerging markets, have stood in good stead. General Motors currently has a Zacks Rank #2. In the past 60 days, the company has seen six earnings estimates move up, while none moved down for the current year. The Zacks Consensus Estimate for earnings increased 3.7% in the same period. General Motors started 2019 on a strong note, with the stock gaining 13.1% so far this year, way more than the Automotive – Domestic industry’s rise of 5.3%. Buffett believes that banks, in particular, will be worth more money 10 years from now. And it’s not surprising that Wells Fargo & Company WFC is one among the most sorted banks of Buffett. Easing margin pressure, improving credit quality and strong capital position are some of the positives that continue to benefit Wells Fargo. Wells Fargo currently has a Zacks Rank #3 (Hold). The Zacks Consensus Estimate for its next-year earnings has advanced 0.4% in the past 60 days. The company is expected to see its earnings grow 12% for the next quarter, more than the Banks – Major Regional industry’s projected rise of 5.2%. Actually, the company’s expected earnings growth rate for the current year is 15.4%, higher than the broader industry’s projected rise of 7.2%. To top it, the stock flaunts a Growth Score of B.
It’s also worth pointing out that the aforesaid stocks are high-yielding stocks. All of them have provided juicy dividends in the past decade. Berkshire Hathaway, STORE Capital, General Motors and Wells Fargo’s ten-year average dividend yield is pegged at 234.1%, 68.2%, 10.4% and 145.8%, respectively. 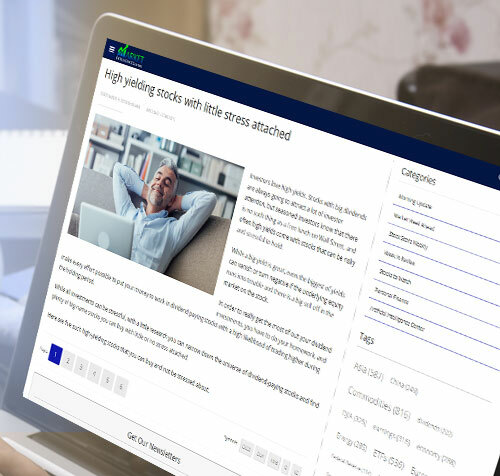 Zacks Investment Research is characterized by a team of experts who are passionate about your investing success and is focused on sharing the same reliable investment research they would want for themselves.